To get an impression of romance in the bathroom you have to create an atmosphere. The right atmosphere will create a strong romantic impression. 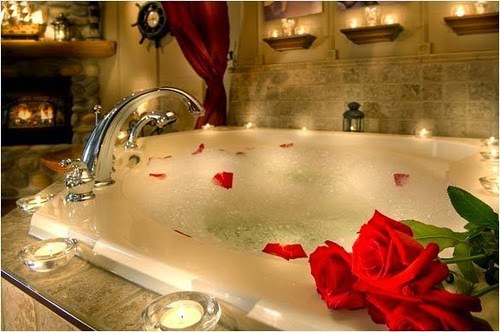 Here are some pictures which could serve as inspiration to create a romantic bath for you and your partner.